Let’s get these three options out of the way first before we get into any more of the technical stuff. Currently, there are three different options to choose from. 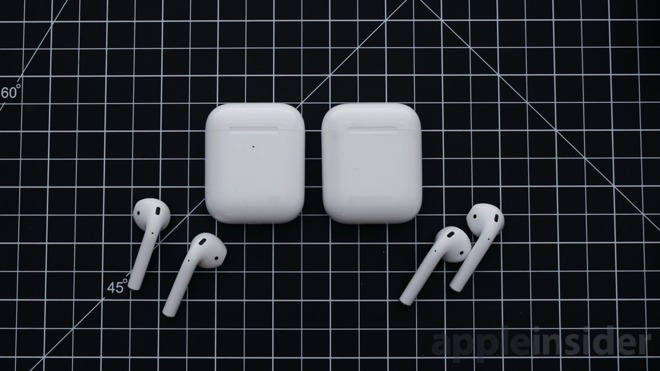 There are the original AirPods which sell for $140 to $150, the new AirPods second generation without wireless charging at $159, and the new AirPods second generation with wireless charging at $199. That’s a lot of money for a pair of earphones. Yes, there are far more expensive earphones out there in the market but those other earphones are also not as small and convenient as Apple’s AirPods. That’s why they’ve gathered such an adoring fan base over the years. These new AirPods haven’t changed much from its predecessor. It physically looks and feels the same on hand. The satisfying *click* when opening the case is still here despite the very small, and unnoticeable hinge redesign. And the way it charges inside the case is exactly the same. Before we get into what does separate these out, let’s look again at the originals. The still somewhat expensive AirPods first gen some people would say are just average sounding earphones, and while they’re right, it’s really not all that bad from a truly wireless earphones standpoint. Sound quality is decent, there’s plenty of bass here and it’s not overdone, mids and highs are just ok, although not the worst in the market. 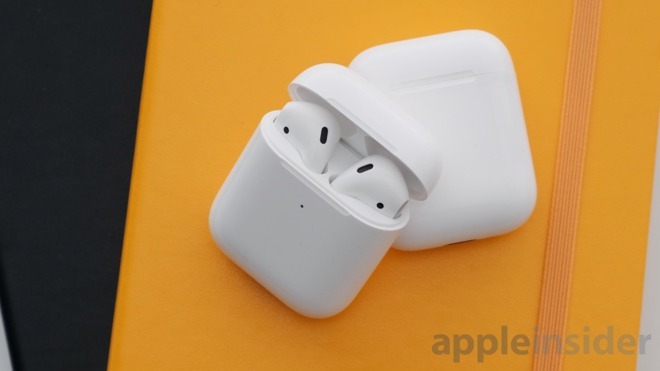 AirPods was one of the very first truly wireless earphones that didn’t have a huge clunky case, a design that didn’t make you look like a robot and it’s also the first pair of Bluetooth earphones that made connecting to a device so seamless thanks to that W1 chip. That alone made the AirPods such an iconic piece of tech. A simple and seamless way to connect to an Apple device. 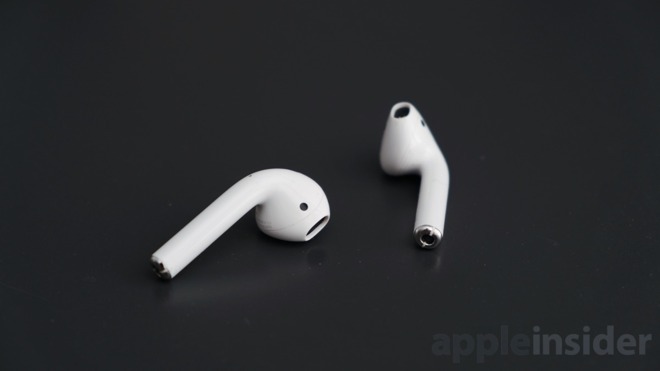 What all of that means in the real world is that you should notice the new AirPods connect to your iPhone, Mac or other iOS devices a lot quicker and you should also see less latency between audio and the visuals you’re seeing on screen. You also now have access to Siri hands-free by saying “Hey Siri” and you can ask her to do the normal actions. All of that is thanks to the new H1 chip found on the new AirPods 2. You’ll also get longer battery life when taking phone calls, but that’s pretty much it in the battery department. When it comes to sound quality, we haven’t noticed a huge difference in quality between the first generation AirPods and the newer AirPods 2. This could all just be a placebo effect, but we did notice a very slight, and I mean really small difference in clarity on the newer pair. But it’s nothing that you’ll really notice day to day. This difference could also disappear as the drivers are broken in. Those are the main differences between the two. But which one should you pick up if you’re a first-time buyer? With three different options to choose from, it’s pretty hard to say what you’re looking for. 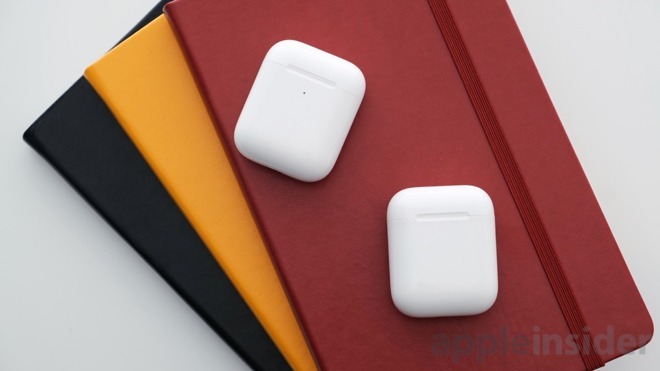 With the $199 AirPods second generation, you get wireless charging, which if you haven’t fully adapted to the wireless charging life, it’s a game changer. But if wireless charging isn’t your method-of-choice and prefer to top off using Lightning, then there’s the $159 version is what you should look into, and if you ever change your mind about wireless charging, Apple sells just the wireless charging case for $79. That pretty much leaves the original AirPods out of consideration unless you find them clearanced out well below that $159 price point or used on eBay for a decent savings. Still retailing at up to $150, it isn’t worth the $10 discount to miss out on the better features of the second generation.